Do you like receiving Valentine's Day cards? Depends on who sent to me. Giving a handmade Valentine's Day card to your sweetheart is a unique way to express your love and feelings. I find that writing the Valentine's quote in the handmade card is the best method to express all the words that you wanted to say to your special someone, especially if you have a shy personality. Valentine's Day gives you the greatest opportunity to express your feelings to your love ones. 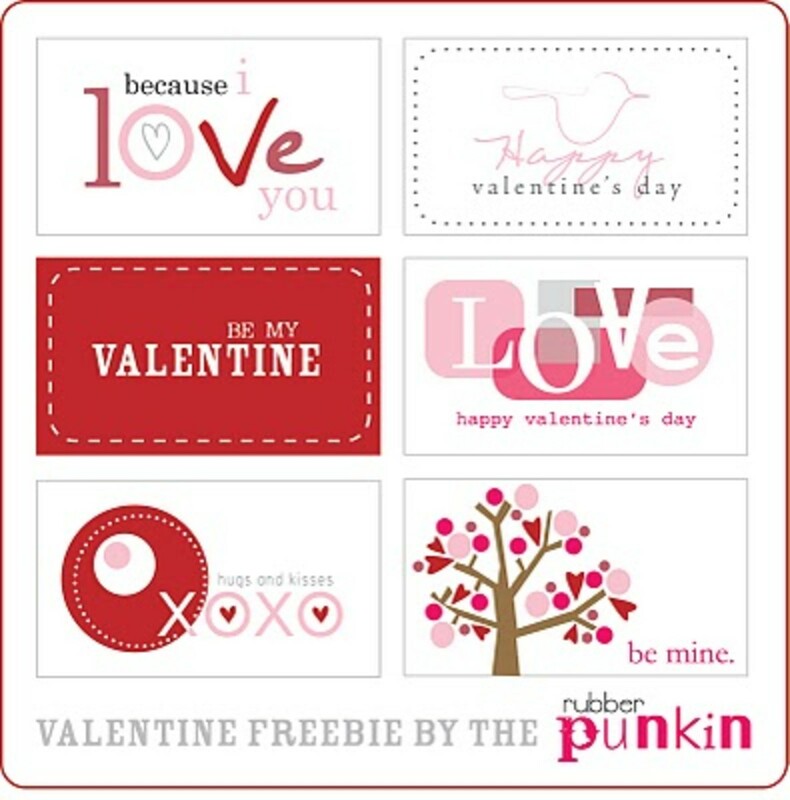 You use love poems, sayings or quotes in your greeting cards or simply text the messages to get instant response. Recycle, reuse and reduce trash. Everything is reusable for handmade crafts. I love to make handmade Valentine's Day cards because I get to save money on the materials required as I could find most of the colorful papers, stationary, ribbons and many more unwanted things in my house. Remember not to discard any excess materials that you had used because you might need them in your next project. 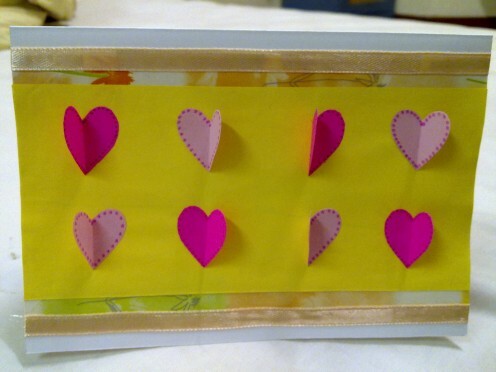 If your sweetheart loves cute little hearts, then this handmade card might be your right choice. 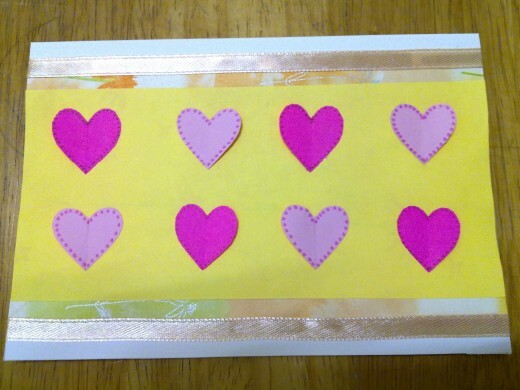 I cut out several little paper hearts, paste each one of them at one side so that these hearts looks like little butterflies fluttering. Handmade cards shows your love and appreciation of your love ones. The one and only kind of card in the whole world. Shows that the recipient is worth the effort to make this valuable card. A memorable card to keep for years. 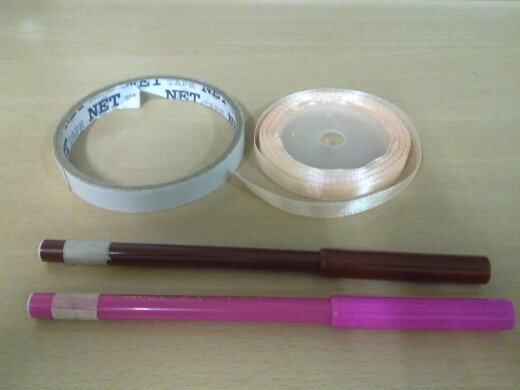 the normally used stationary such as pencil, scissors & etc. 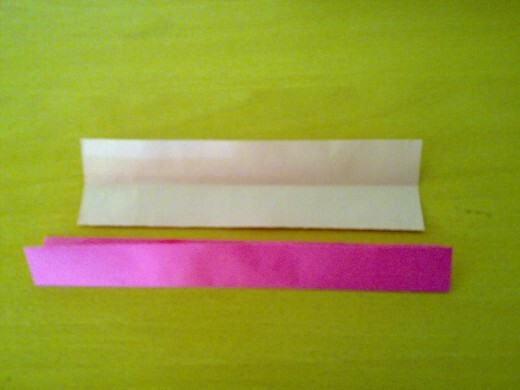 Solid satin ribbons are soft and smooth to touch. They comes in rainbow colors either sold separately or in a pack of 24 spools. I had bought a spool of peach color ribbon a year ago and had been using it for my every craft projects. 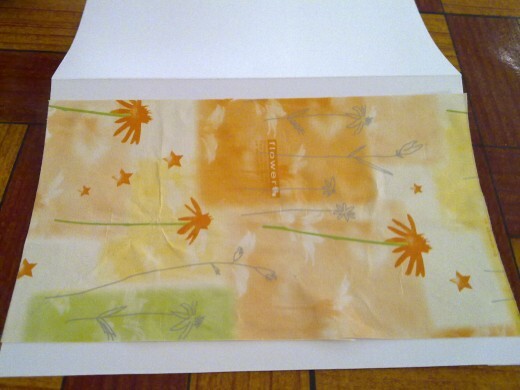 The color matches easily with any color construction papers due to the soft tone color ribbon. Polka dot ribbons are cute and unique, makes your card extra outstanding. Choose glue sticks, normal glue or white glue, whichever that you prefer. 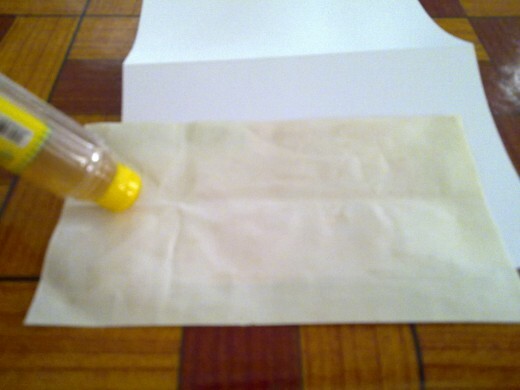 Glue sticks are ideal for papers, cardboard and photos. If you use permanent glue sticks, they stick firmly and dry up quickly onto the construction papers, like the Elmer's All Multipurpose White Glue. This is a useful and sticky white glue. I hate the school glue that comes off easily that makes my crafts fall off easily. However, Elmer's white glue, sticks like a leech! This is great. I mean, I don't have to press out much, just spread out the glue with a ice-cream stick and place the paper together, it stick firmly and well. Well recommended for craft projects. 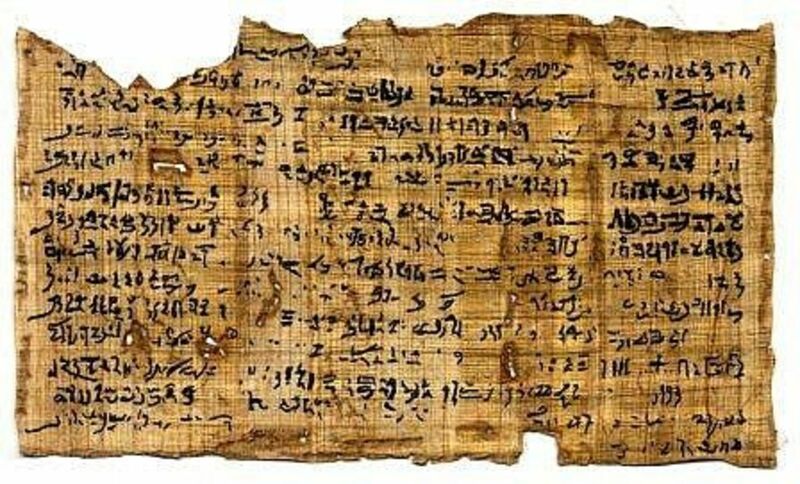 Construction papers are sold in various weight and quantity. The commonly used weight is either 70g or 80g. 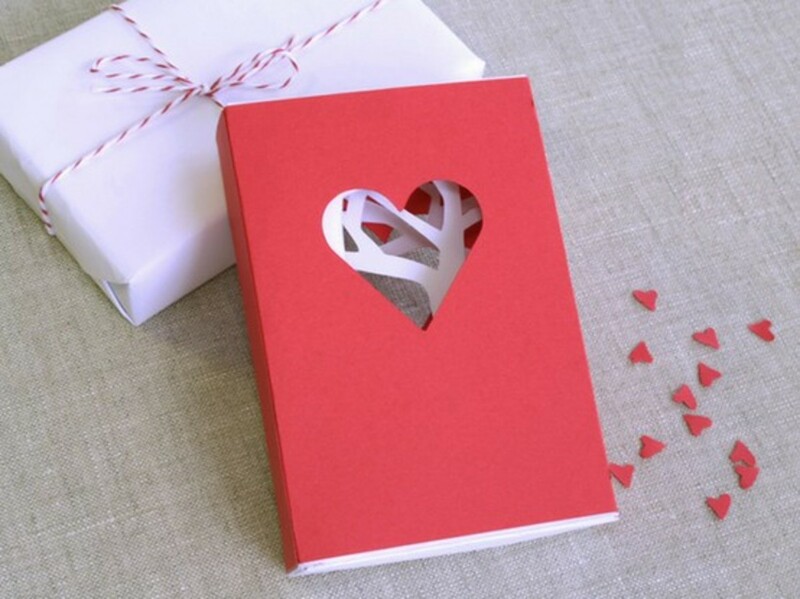 If you buy 120g, it is slightly heavier which may make the Valentine's day card thicker than usual. Sunworks Heavy Weight Construction papers is ideal for making greeting cards due to the weight required matches well. It comes with 11 different colors, the one I needed were included in this pack and 300 sheets of them ! I could used them for years! This paper has smooth texture, it is not flimsy or tears easily when you erase wrong markings and the color doesn't wear off. 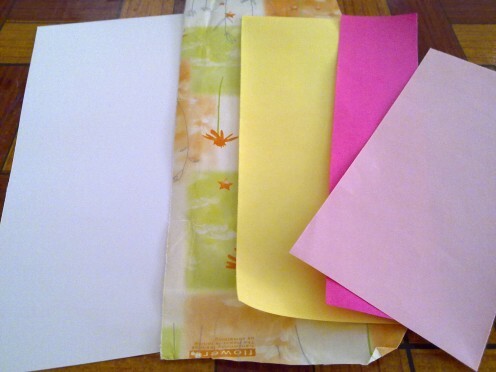 This construction papers are ideal for craft making, projects and fliers but I used them mainly for my craft projects. Most book shops or stationary shops sell them at smaller packs and cost more. No point buying smaller packs. Buy in bulk because there is no expiry date,right? I bought a pack, saved my money and I love the good quality. Very satisfied with this Sunworks brand. Don't buy other brand, go for this. I used some left-over gift wrappers for the top and bottom of the card which makes them pretty borders . Pasted two strips of ribbons to overlap the jagged cuttings. 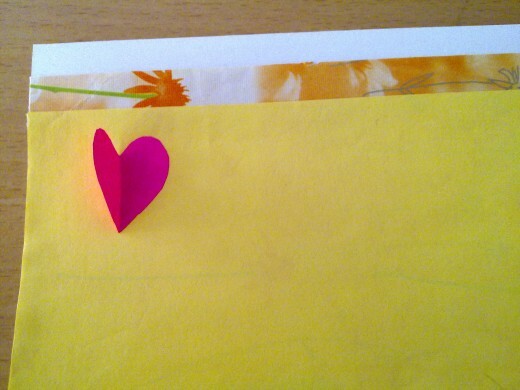 Next, draw out a couple of hearts on folded construction papers and cut them out carefully. Paste one of the side of the hearts onto the front card to form cute little "butterflies" and add dotted lines along the heart shape. Honestly, I only spend 20 minutes to create this Valentine card. Beautiful and simple, isn't it? Hope that you will have a great time and enjoy card making! Use a ruler to measure the white card 6.5" x 9". 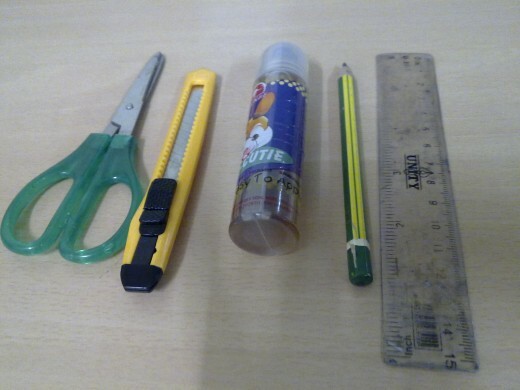 Draw the lines out so that you can easily cut them out with a penknife. Fold the white card in to half. Measure the gift wrapper 5.5" x 9", slightly smaller than the white card. Use the penknife to cut it out. Apply glue at the back of the gift wrapper. Paste on to the front white card. 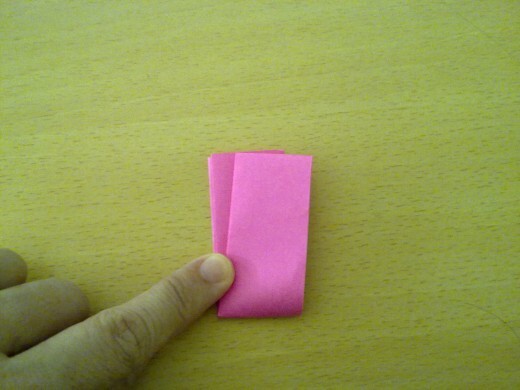 Measure the yellow paper slightly smaller than the gift wrapper . 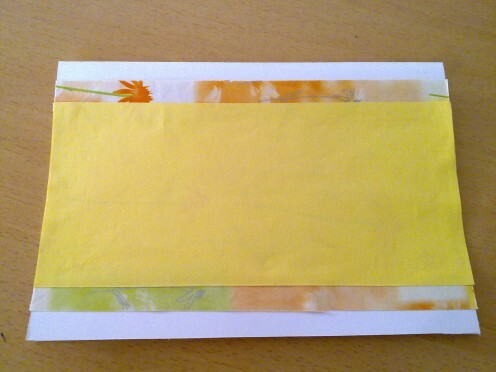 Apply glue onto the yellow paper. Paste it in the middle of the gift wrapper. 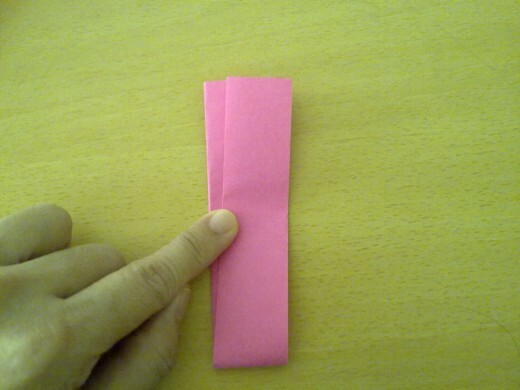 Fold 1 inch wide of strip of pink paper into half. 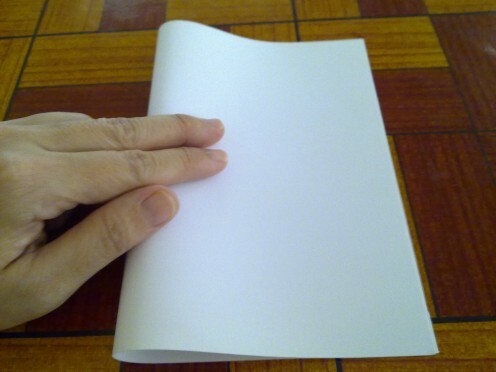 This time, take the lower end of the paper, meeting the top paper. Fold into half. Repeat the same steps for red paper too. 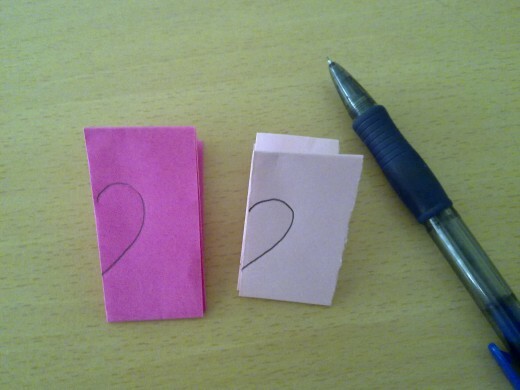 Use a pencil to draw a 1/2 heart shape on both the pink and red papers. 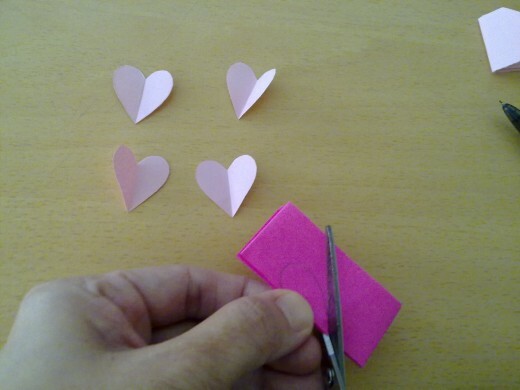 Use the scissors to cut out the heart shape. You will get a total of 8 little hearts. Fold back the hearts . 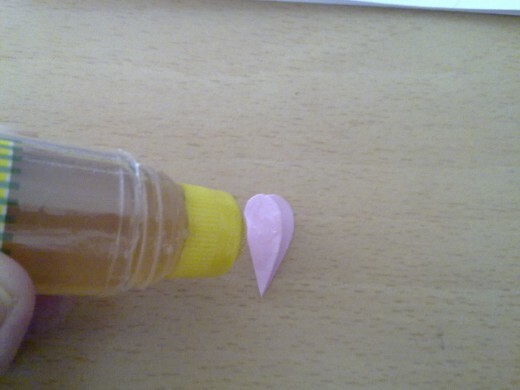 Apply glue on the right side of a red / pink heart. Paste it onto the yellow paper. You can paste in a row or any pattern you like. 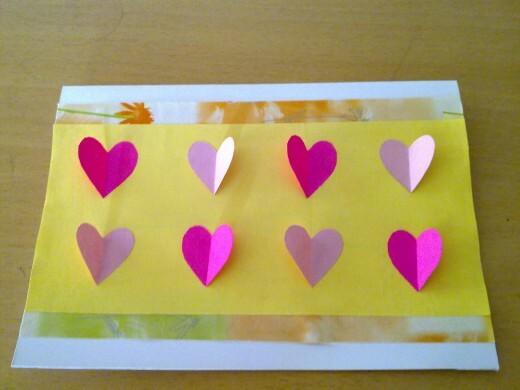 Apply glue on the left side of a red / pink heart. Leave a finger spacing. Paste it again. Repeat the same steps for all 8 hearts. 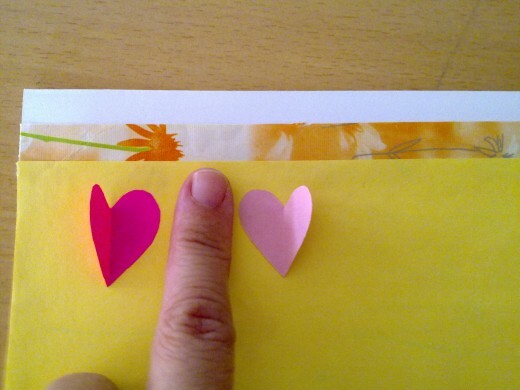 Use a marker to mark dots alongside the hearts. Measure 2 strips of ribbons the same length of the card. Paste 1 ribbon on the edge of the gift wrapper, one on the top and the other at the bottom. Okay, you have done well. Congratulations ! 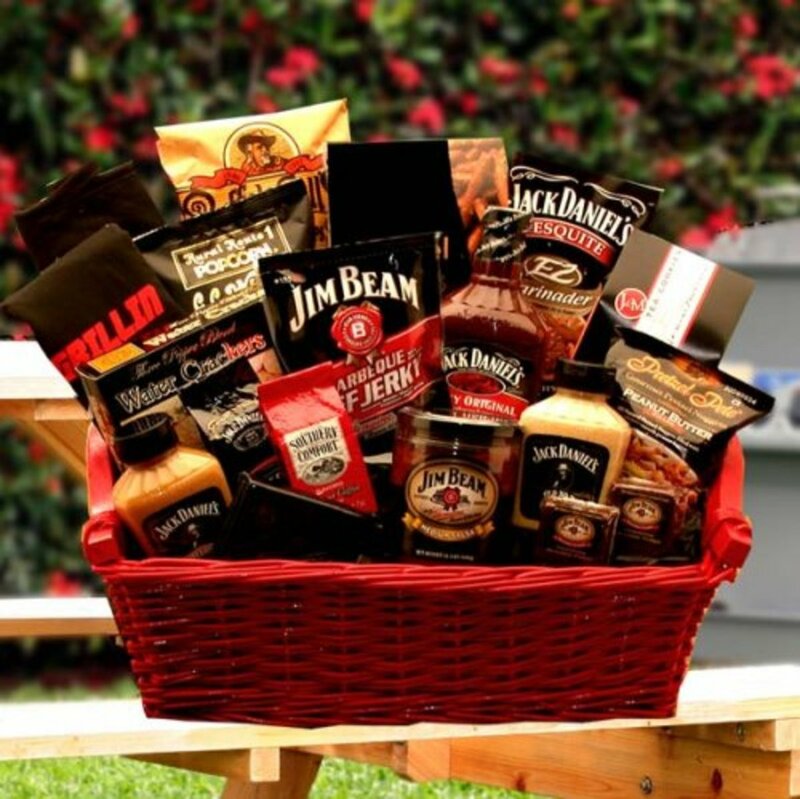 A great gift for birthdays, Christmas, Valentine's Day,Mother's day and even Women's Day. Make this year Valentine's Day a special day by making your own handmade gifts for your love ones. Handmade Paper Rose Flower is easy and can last all year. 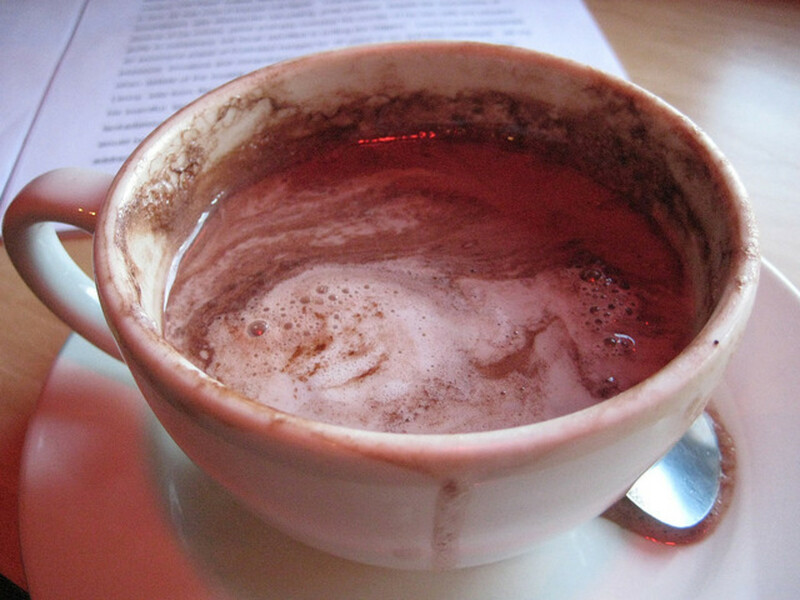 It is inexpensive and lovely too. 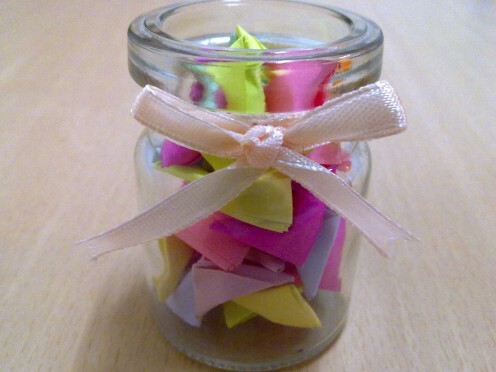 Nice craft idea for Valentine's Day! I love to make handmade items. I think I will follow your idea to create a handamde card for the approaching Valentine's Day.